The freshest pomegranates have smooth, fresh-looking skin and bright red seeds -- with the opposite characteristics in less fresh specimens. Although pomegranates have a long shelf life, similar to apples according to the California Rare Fruit Growers association, they are typically best when you see them in grocery stores early in the season in fall rather than later at the end of winter. While it's not a foolproof method, generally you can avoid a pomegranate with bumpy rather than smooth skin, or skin with multiple bruises. The skin also appears shrunken rather than plump in an older pomegranate. 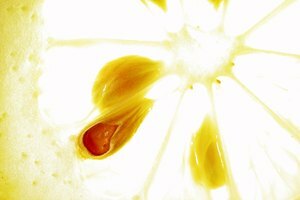 And the fruit feels light rather than heavy when you hold it in the palm of your hand, because each seed contains less juice than those in a fresh pomegranate. 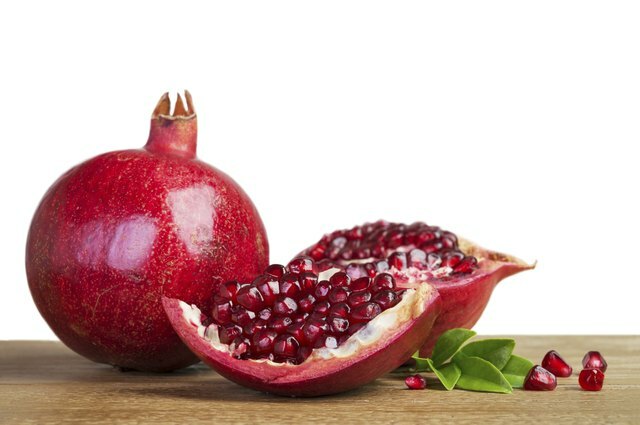 Once you open a pomegranate, the pith around each seed should be entirely white and the seeds bright red. If the pith appears brownish around the edges but the seeds still look red, go ahead and use them. But if the seeds appear brownish with a soft, mushy look and feel, throw those away. 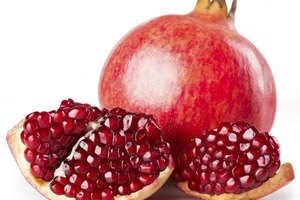 One pomegranate may contain both good and bad seeds; you can safely eat the good seeds and throw away the sections of the fruit that have gone bad. 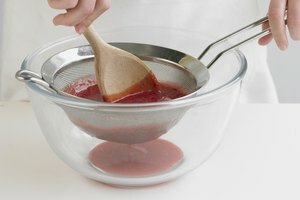 If you plan to eat your pomegranate within a few days, leave it out at room temperature. The whole fruit stays edible for up to about 3 months stored in a plastic bag in the refrigerator, and the seeds remain good refrigerated for up to 3 days. You can also freeze pomegranate seeds for up to 6 months in an airtight container.